Pacific Plan Reviewed: what next? There has been considerable pessimism regarding the future of Pacific regionalism in recent years, given the lack of progress in trade negotiations and labour mobility, criticism of regional organisations, and tensions within the Pacific. This is despite broad support for regionalism, which is considered a means through which Pacific island countries can address the challenges associated with small size and remoteness. The mixed experience with regionalism in the last decade has drawn attention to the Pacific Plan, the ‘master strategy’ agreed to by Pacific island leaders for advancing regional integration and cooperation. The Pacific Plan was reviewed over 2013 by a high profile team led by Sir Mekere Morauta, at the behest of Pacific Islands Forum leaders (the review has been the subject of a number of posts on this blog: here, here and here). Interim findings were presented to leaders at the Forum meeting in September. The final report of the review team was made public just before Christmas, after having been submitted to leaders, and discussed by regional officials at the December Forum Officials Committee meeting. Perhaps because of the odd timing of its public release, the review team’s final report has not received the attention that it deserves. What were the review team’s broad findings? Overall, the final report is damning of the limited impact of the 2005 Pacific Plan (and its 2007 iteration). For anyone familiar with Pacific regionalism and the plan itself, this is hardly surprising. An exhaustive consultation process confirmed that there is a widespread view that the Pacific Plan has failed to drive the regional cooperation and integration agenda. The plan has had too many priorities, and attempts to consolidate them have had limited impact. 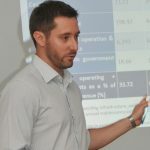 According to the review team, the plan “has so many priorities, and is so broadly framed, that it effectively has no priorities.” It has failed to guide the prioritisation of resource allocation in the region. The convening of a PPAC meeting (for which airfares are paid) back to back with a Forum Officials Committee (FOC) meeting (for which airfares are not paid) creates incentives that serve to shape the governance of the Forum and the Pacific Plan: PPAC meetings essentially fund member countries’ participation at the FOC. The review team argues – at least implicitly – that weak governance has enabled CROP agencies and other regional organisations with vested interests to push their own agendas through the Pacific Plan. It notes, as a result, that there is “an assumption that the CROP agencies are the embodiment of regionalism”, and that “ownership of the Plan … is limited at the political level.” Interestingly, the review’s submissions process itself points toward how this supply-driven situation has come about. Of the 71 submissions published on the review’s website, the majority argued for greater recognition of “X”, and were written by an institution with vested interest “X”. 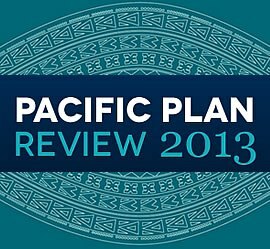 It is hard to argue with most of the review team’s findings or its criticism of the Pacific Plan. The final report notes, quite rightly, that regional service delivery has produced mixed results, and that where successful, it has often been due to the disparate activities of Pacific stakeholders, rather than the result of a centralised regional architecture. This is consistent with the findings of a study on regional service delivery that I conducted with Tess Newton Cain, in which we highlighted that regional service delivery has progressed through a ‘patchwork’ of initiatives (the full paper is available here, and is summarised in this blog post). There are parallels between the findings of the Pacific Plan Review and the 2012 Review of the Pacific Islands Forum Secretariat, summarised here, which is still to be officially made public despite having been leaked. The limited effectiveness of the PPAC for the Pacific Plan is similar to that of the Forum Officials Committee (FOC) meeting for the Forum Secretariat. Both of these governance arrangements point to a lack of ownership among Pacific island governments of the regional agenda and its organisations. The reasons for this are various, but of importance are the perverse incentives created by reliance on donor funding. This is highlighted by the review team, and was also discussed in our paper on regional service delivery. Some of the review’s recommendations are curious; such as the suggestion that the Forum Secretariat, with the support of the multilateral finance institutions, develop growth strategies for Pacific island countries. These are issues that the multilaterals already look at, and which have been explored by the Pacific island governments and the development community since the end of the colonial era. It is unclear why a regional organisation such as the Forum Secretariat would be well placed to conduct new analysis in these areas. Past experience with pooling in the Pacific emphasises the importance of good public policy formulation … Pooling initiatives need to be subject to rigorous scrutiny, requiring heavy investment in identification and feasibility studies, design, pilots and monitoring and evaluation. But the review team’s final report goes a step further, providing an outline of what that public process could look like. The review recommends that the PPAC be re-established as a much smaller board, which will “have a clearer role (and) improved governance arrangements.” It argues for a more rigorous evaluation process for regional initiatives (adding four tests to the existing three that initiatives are supposed to go through), and for changes to the Pacific Islands Forum Secretariat so that is can more effectively be the gatekeeper for such initiatives. Again, there are parallels between the findings of the review of the Pacific Plan and the (sidelined) review of the Forum Secretariat. Both point to the need for better funding arrangements for the Forum Secretariat, and for changes within the corporate structure of secretariat (many of which, the review team notes, are already underway). Both also point to the important role that the Forum (and its secretariat) can play, and has played, in the area of donor coordination. The Pacific Plan Review argues that the success of the Cairns Compact on Strengthening Development Coordination in the Pacific should be built upon. These are all valid recommendations. The recommendation of a more rigorous evaluation process for regional initiatives looks good on paper, but its success will depend on implementation. There are many questions that remain to be answered. How will the new prioritisation process be made more effective than that of the Pacific Plan? How can buy-in from Pacific island leaders be ensured? How will vested interests be managed? To what extent will the process be relevant to the patchwork of regional initiatives that operate outside the Forum (e.g., sub-regional initiatives implemented by the Melanesia Spearhead Group)? PIFS oversees a comprehensive review of pooled service initiatives to identify why some initiatives have been very successful and why others have failed, and uses these lessons to improve implementation. Such a study is long overdue. Our paper provides a start, highlighting how many of the collaborations identified in Towards a Pacific Regionalism have been attempted, with mixed success, since 2005. A more comprehensive study of the reasons for success/failure, looking at initiatives that facilitate cooperation and not just pooled service delivery, would help illuminate the way forward for Pacific regionalism.